Paula, a girl far from the typical idea of beauty, who only cares about feeding her intellect, is convinced she is a witch. No one in her little village believes she has powers until the end of the semester comes along. 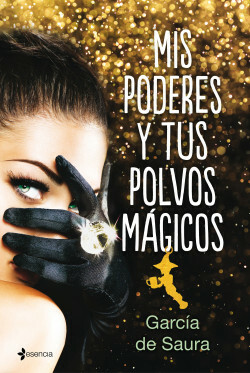 That night, after the last of her best friend Juanjo’s nasty tricks, she threatens him in front of everyone and casts a spell that makes him disappear. After a few years, Paula moves to Madrid and become a powerful lawyer. Her tenacity and intelligence will help her land at an important law firm, and there she will be surprised to find Juanjo. But her old friend and adversary from childhood isn’t the boy she remembered. Life has changed him into a sophisticated and astute man and a very feared lawyer.